This is a physician whose training is in internal medicine. The primary professional focus is the general medical care of hospitalized patients. In other words the Hospital is their office. Hospitalists provide care for patients of physicians with whom they have agreements as well as those patients who do not have a Primary Care Physician (PCP). Unlike the Primary Care Physician who spends the majority of his time in his office or clinic, the Hospitalist’s entire workday is spent in the hospital. The Hospitalist offers a greater expertise of the hospital-based specialists; this ability helps to reduce costs without compromising the quality of patient care or satisfaction. By being in the hospital daily they are able to monitor the patient’s progress on a daily basis. The Hospitalist’s all over expertise enables him to manage patient’s varied needs during their hospitalization. Your Hospitalist physician will spend some extra time with you to learn about you and your needs. The Hospitalist will communicate with your primary care physician, who will in turn give as much medical history pertaining to you as possible. With this information, the Hospitalist will help to provide you with the best medical care. What if you don’t have a Primary Care Physician? At the time of your discharge, your Hospitalist will refer you to a primary care physician and provide that physician with your hospital information. It is important that you establish a relationship and follow up with a primary care physician. On-going medical care is necessary to keep you healthy. Questions? Please Click Here To Send an Email. The Hospitalist has ongoing communication with your primary care physician. This helps to maintain continuity and quality of care for you, the patient. 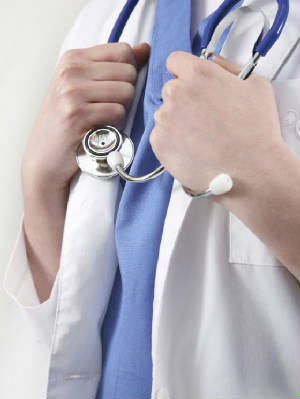 You will be asked to see your primary care physician soon after discharge from the hospital. Upon your discharge, the Hospitalist will update your primary care physician regarding your stay, prescriptions he prescribed, and will make sure that a summary of your hospital stay is forwarded to your primary care physician. After you are discharged from the hospital, you will need to contact your primary care physician for refills on your prescriptions. The Hospitalist will order your prescriptions during your stay in the hospital while under the Hospitalists care only. During your stay in the hospital, one of our Hospitalists will be available to both you and your family as needed. They will discuss your plan of care and provide honest and considerate answers to your questions. They will assist you through a smooth and speedy recovery process by following up on tests and adjusting your treatment plan throughout your stay. Our Hospitalists are on-call, so if you or your family needs to speak to the Hospitalist contact your nurse and ask him/her to page the doctor. related to your medical care.